Horses can help people with life’s challenges. You don’t have to get on the horse to get the benefit. Being in the company of a horse helps you feel better. Horses are fun therapists – it doesn’t feel like work. Horses have been making our lives easier for thousands of years. They are closely woven into the fabric of our social, industrial and agricultural history. They have carried us to war, pulled our ploughs and carriages, and provided sport and entertainment. More recently, horses have taken on a new role helping people deal with life’s challenges. Therapeutic Horse-riding and Equine-assisted Personal Development enable horses to improve people’s lives in many different ways. 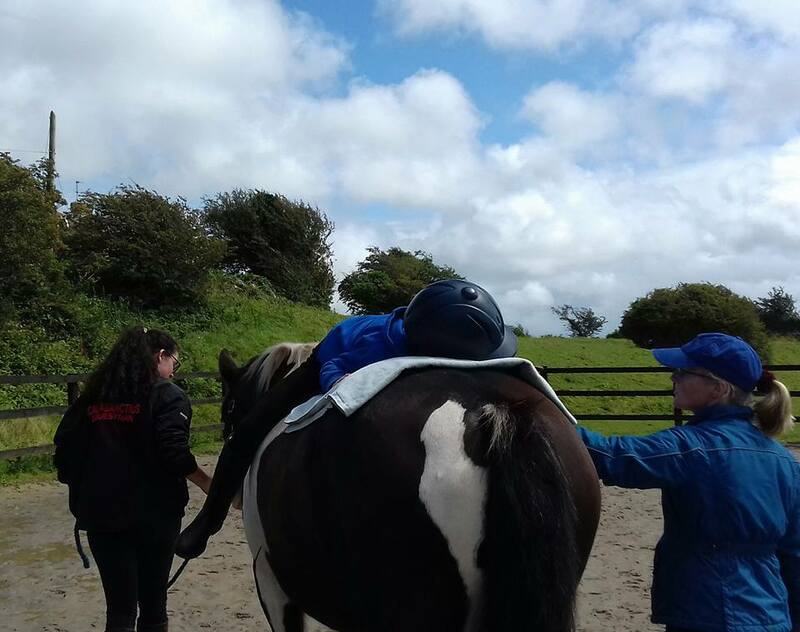 Therapeutic Horse-riding (TR) is a goal-focussed activity for people with a wide range of physical, emotional, cognitive and sensory disabilities. Sessions are delivered by professional, qualified Therapeutic Horse-riding Coaches. A walking horse transfers 110 multi-dimensional swinging motions to the rider per minute, causing the rider to instinctively adjust their position to maintain balance. Apart from what this is doing to help improve balance through their inner ear, the rider’s core is working incredibly hard. The multi-dimensional movement of the horse’s hips and pelvis works on the rider’s balance, posture, tone, core strength, and body and spatial awareness etc. During a TR session, the coach constantly checks and corrects the rider’s alignment and balance to ensure that he/she is getting maximum physical benefit from the session. 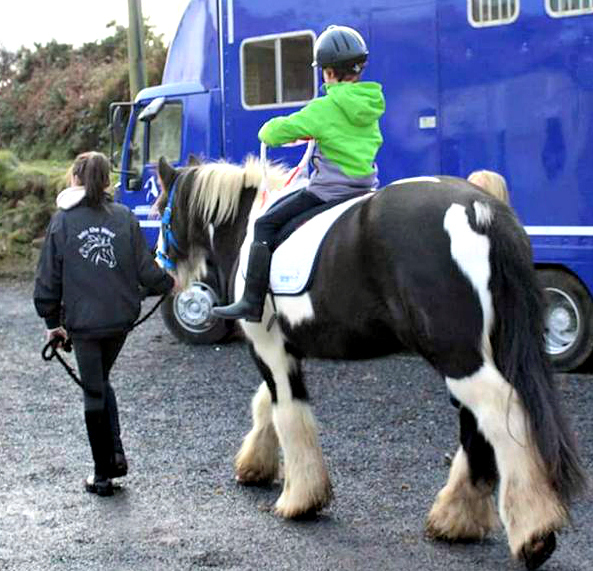 At the same time, the rider is being gently challenged to work on other goals, such as communication skills, literacy and numeracy, social skills, sensory awareness and behavioural issues. Equine-assisted Personal Development (EAPD) involves ground-based games and activities with horses designed to promote personal development, communication, leadership skills, social and emotional intelligence, team work and much more in a non-threatening and fun way. There’s no horse-riding involved in EAPD, and no previous horse experience is required. It works equally well for groups and individuals, children, teens, families, clubs or businesses. The horses do not discriminate! EAPD is a versatile and highly effective means of quickly getting to the core of issues and helping the participants develop a ‘tool box’ of skills, strategies and insight to deal with life or business challenges. It works really well for people who are not suitable candidates for TR, and for people with Acquired Brain Injury, Dementia or in recovery from physical or mental illness. Mankind has been around for 6 million years but the horse has been here for almost 60 million. In that time, horses have developed simple but sophisticated survival and communication systems, using a series of subtle and strong movements of various parts of their body. As prey animals, the horse’s survival depended on being able to quickly recognise, and react to, threats. They also needed to know when not to react, in order to conserve energy and protect the weaker members of the herd. Something amazing happens when a typical 21st century person comes fully into the presence of a horse. The horse does not care about that person’s job, gender, religion, age or social standing. The horse will see, and connect with, the essence of the person. Today, horses whisper the truth to anyone brave enough to listen. Their innate ability to read and interpret energy, body language and other subtle signs means that horses can help us to recognise, acknowledge and repair negative patterns or thought processes that may be keeping us stuck in unhelpful situations. Eileen Bennett is co-Founder and Director of Horses Connect in Galway. 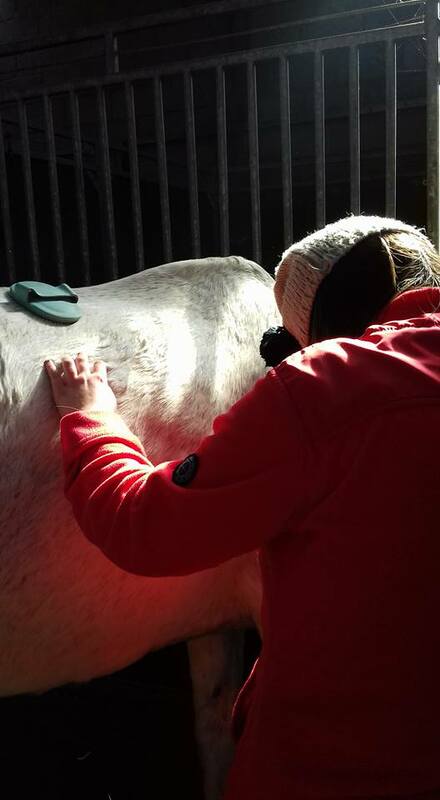 She holds qualifications in Therapeutic Horse-riding, Equine-assisted Learning, EAGALA Equine Specialist, Leadership, Managing People, Personal Development, Disability Awareness, Mindfulness, Counselling Skills and more. All coaches and volunteers at Horses Connect are trained, experienced and Garda vetted. Coaches hold Occupational First Aid and Child Protection certificates. 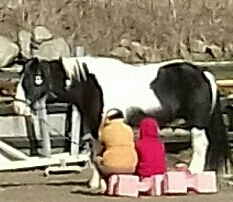 Horses Connect works with children and adults and provides weekly Therapeutic Horse-riding and Equine-assisted Personal Development sessions to individuals and groups of all ages.